I started for my health as I was 327 lbs, but now I do it for me and the bonds I have formed with my running community. It is amazing to be able to go for a run and release from all of the day to day. One year during the Savannah marathon I came to the split where the half marathon runners go right and the marathon runners go left and I realized I was one of the few going left. I did not feel that it was my race nor did I want to run another 14 miles, but my legs turned left and my brain turned right. I kept the thought of the finish line in the front of my head and pushed through the remaining miles and eventually finished with a PR! I love to share my journey but I am even more inspired to hear the stories of those who I run with. You really get to know a person for who they are when you are both putting your heart and effort into a combined effort. Every experience has been rewarding as I have become a better person and runner through those experiences. My best experience was crewing and pacing my best friend through 175 miles in Italy with no markings, turn by turn directions in ITALIAN, and 46 hours with 1 10 minutes nap- no matter how hard it was it was an amazing experience. Some runners like music, some like to talk and others remain silent throughout the run, I am flexible and work with the group to make it to the end goal of pushing through the race and achieving their best! I try to listen to the needs of the group while pushing them when needed! Run your own race and train! 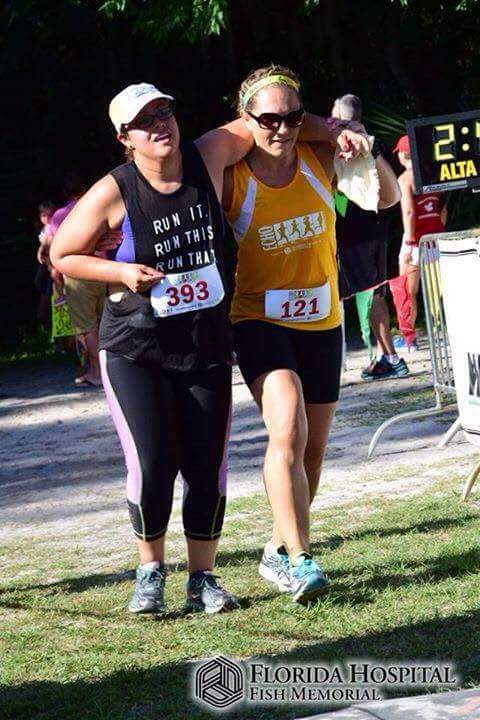 If you are feeling strong in the end and want to push harder and faster…run!